Two paintings (24 x 48" each) pair together (called a diptych) to create this painting. 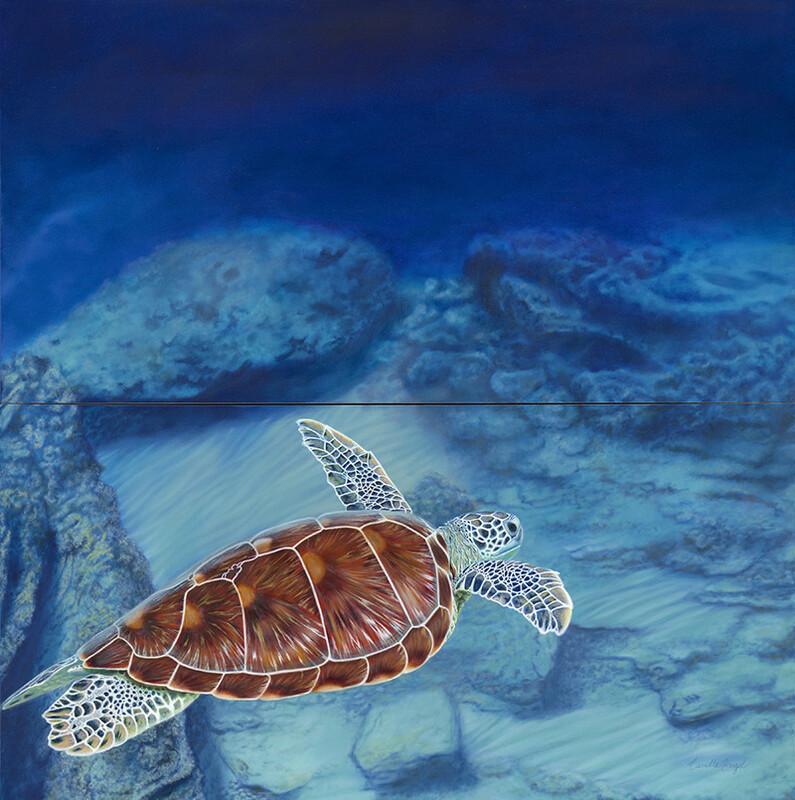 An endangered Green Sea Turtle oil painting showing the ocean floor. Exhibit: “Contemporary Realism” – Three person exhibition, J. A. Willy Gallery, Naples, FL,. February 2017.